If you have just a regular washing machine, chances are it will be extremely loaded. 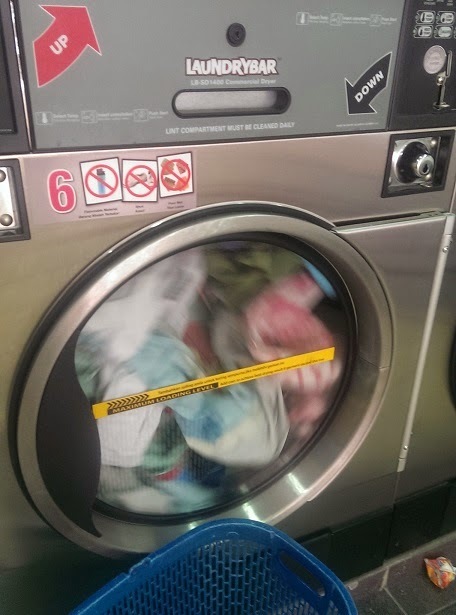 And if the machines are too loaded, chances are it will not be able to wash properly. 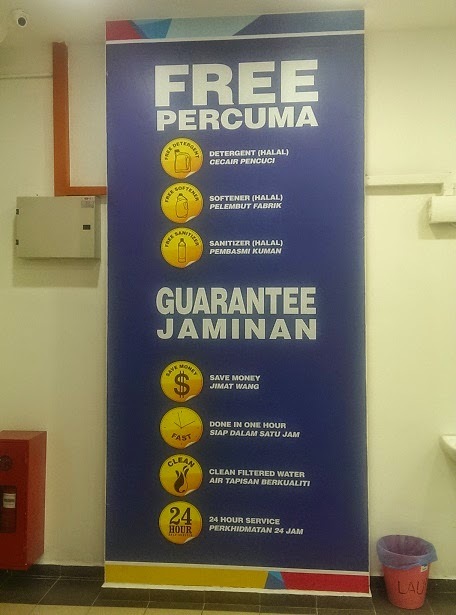 Lately though there has been a few self laundromats opening in my area, so out of curiousity, I had gone to visit and try out the service, especially since during that time washing was free. All I had to pay for was for the dryer charge. 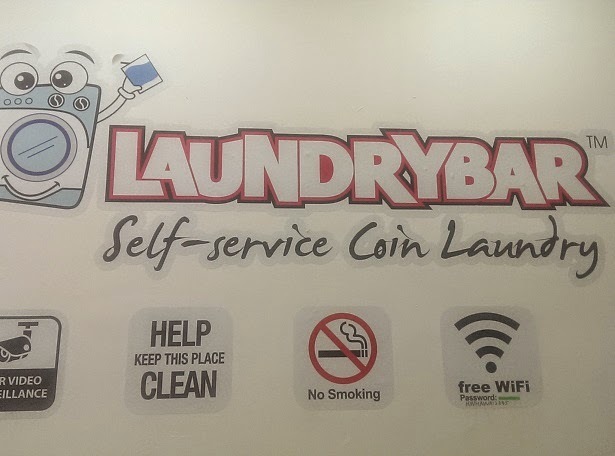 So I was at the Laundry Bar, a Self Serving Coin Laundry. Basically there are half a dozen 14 kg machines, one 10kg machine and one 20 kg machine and about 8- 10 dryers there. At the Laundry Bar and some other laundry, they provide free detergent and softener so you do not have to put in any extra, though I noticed there were still people who put in additional detergent and such. There is a machine there to change your notes to coins or tokens to enable you to use for the machines, so all you have to do is change your money and slot the required tokens or coins into the slot, just press start and the machine is good to go. I really liked using the washer. 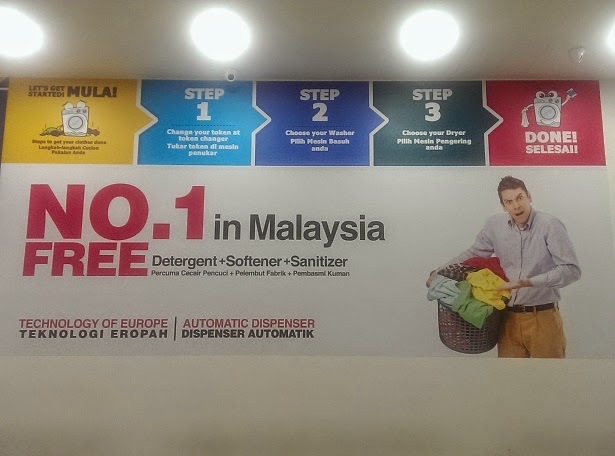 Using the washer cost anywhere from RM4-6 per wash depending on the self serve laundry you choose. There is also a choice of warm water or cold water. Naturally, you have to pay a bit more for warm water washing. 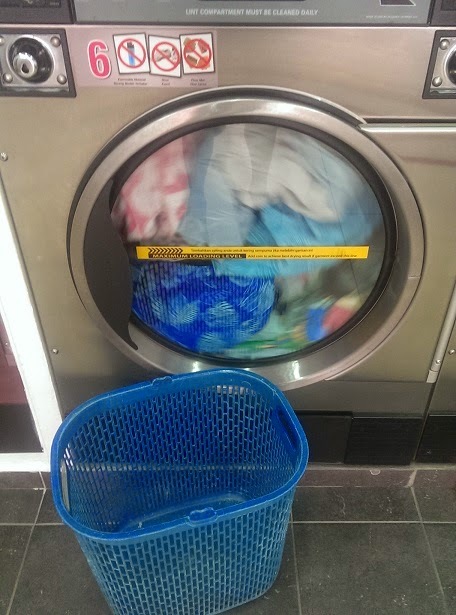 My clothes are very clean after coming out from the washer whereas at times when I wash my clothes at home using my trusty washing machine, there are times my clothing are still left with lint and not really spotlessly clean. Ok.... that proves how lazy I am. Ok, I have just crawled out from under the rock and have been using useless dryers in the past. 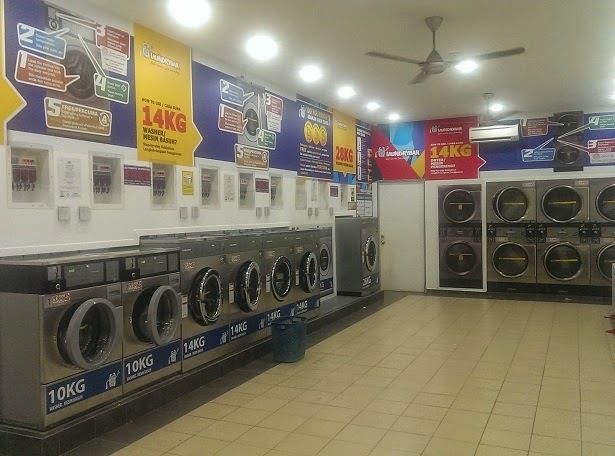 I remember using a dryer back when I was in Ireland and my clothes were not dry and I used a dryer again at the self service laundry at Saphaipae Hostel during my trip in Bangkok with just the same results so when I used the dryer here for the first time and got my clothes all warm and dried , I was amazed. 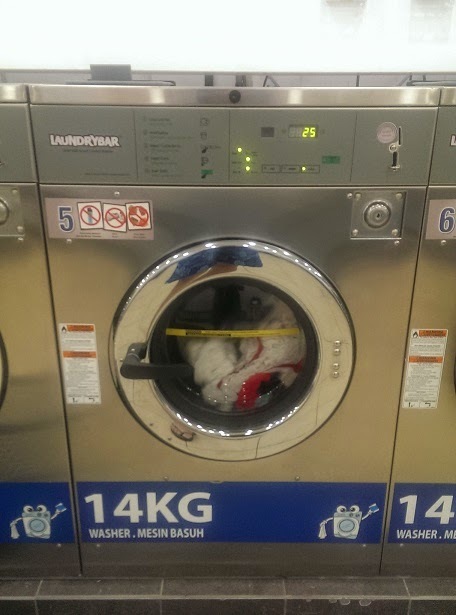 To use the dryer, it only cost about RM4-5 . It is definitely highly recommended for those rainy monsoon seasons or when you are not at home to wait for your clothes to be sundried. your clothing and laundry all fresh and dried. I prefer to use plastic version then steel version of washing machine because its works long time.